Reading the Beach | Capt Tony's "Walkingangler.com"
Third in a series – Next step for the new angler to find the right location that will hold fish. The question was “how does a new angler find a good spot to fish on the surf”. Of course, the new angler can just pick any place and cast a line and hope for the best. But their success is hinged more by luck than anything else. The key for success on the surf is to look for the signs. It is important to keep in mind that signs present now can change by the hour or day. So a consistent review of conditions is imperative for success. When hitting the beach for the first time, anglers should first focus on the entire picture. Look at everything but mainly focus on the surf zone but more specifically sand formations and waves. Flat sand beaches can indicate shallow water. On the beach where the sand tapers from a flat surface into the water will indicate a gradual slope. This area will be shallow for some distance. Some sand formations that include cusps or small hills could indicate a greater slope and deeper water. The deeper water close to shore is better at holding for fish. Wave action will also give out specific signs. 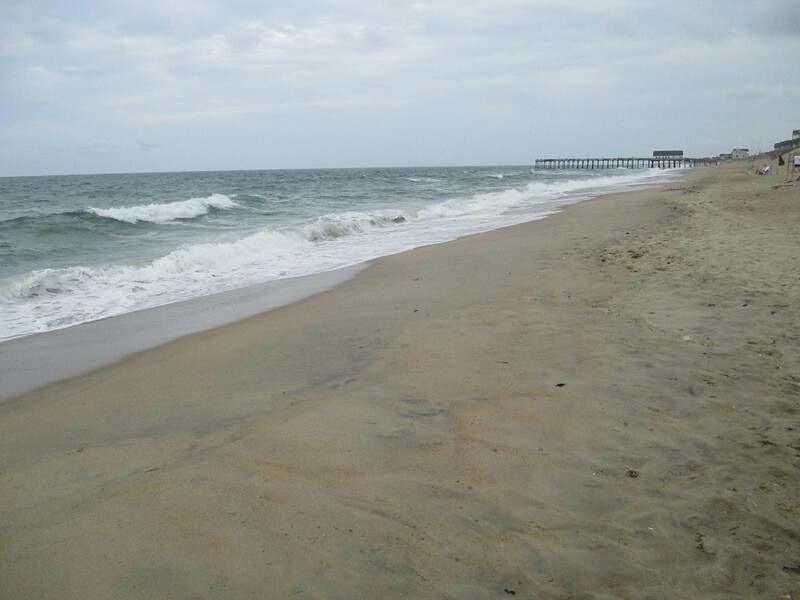 Normally waves form off shore and travel a good distance in and break on the surf. This is a sign that the bottom has a gradual slope for most of the wave set. The best condition is when the waves break off shore on a bar, taper off and then re-form and break again on the shore. This is a good indication of a slough. Sloughs form between a sand bar and a steep sloping beach. The slough is where most of the fish will be found. A slough is a channel of moving water that flows parallel along the beach and provides a highway for fish to find food and protection from other prey. This is the best place to find fish. The final sign is a rip current. A rip current is a rapid outflow channel or river of water. This happens when the waves push too much water onto the beach and there needs to be a way for the excess of water to flow back out to sea. They are easy to spot, look for the rapid out flow current. So when looking for the best place to fish on the surf, focus on the sloughs, deeper water and rip currents. Remember most fish are within ten feet of the sand. So keep your bait close. Next time we will talk about when and how to fish the surf.